Our vehicles are chauffeured in style by our mature, experienced staff. 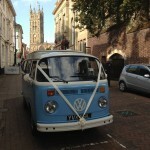 Victor is our beautiful pastel white over florida blue VW Campervan ideal for your wedding day transport. 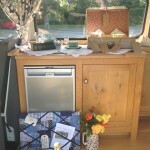 He seats up to 4 people in a luxurious solid oak interior. 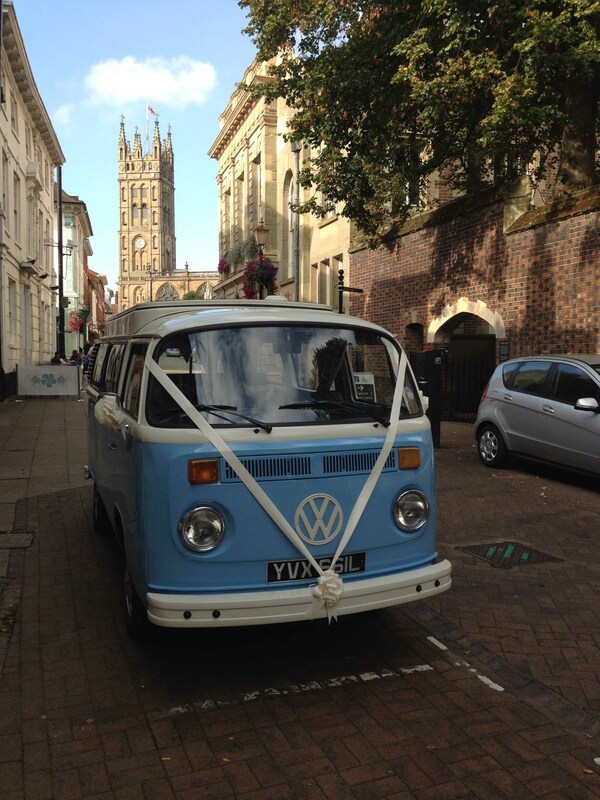 Victor is a great option for the bride and groom wanting that real and iconic camper van wedding experience. 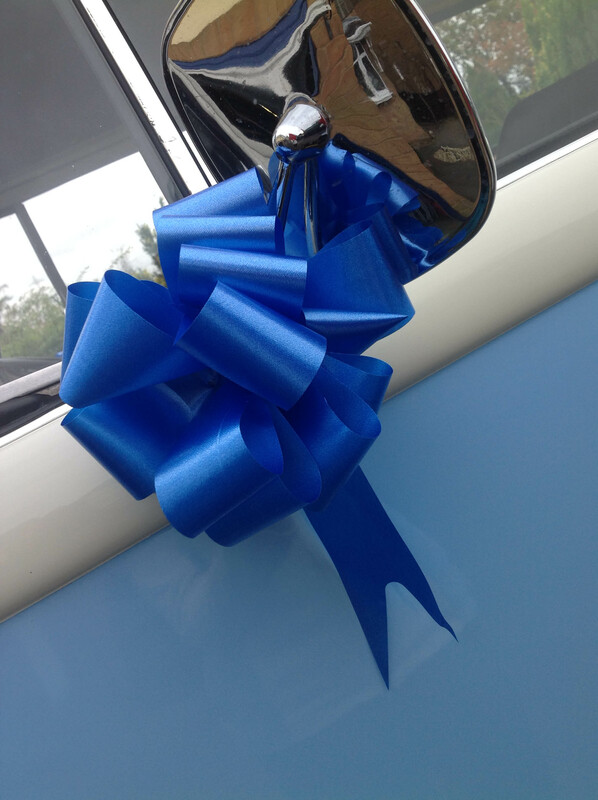 Victor includes a 40 mile round trip allowance has bunting and ribbon to match your colours at no extra cost and wonderful grey and cream seating. Victor can accommodate up to 4 people. 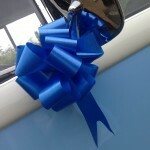 Call us now on 07764847644 to get a quotation. 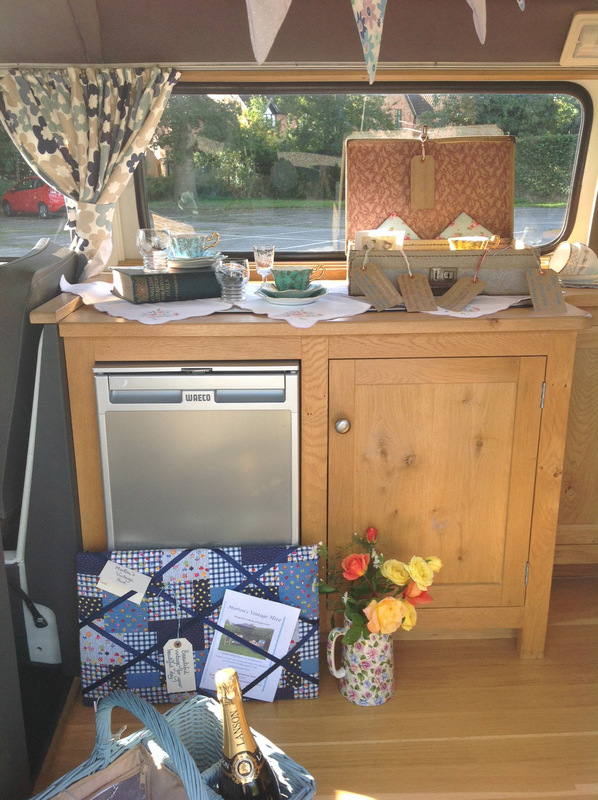 If you book both Campervans you will get double the experience and a big discount!! Maximum seating is 4 depending on the sizes of people and dresses. An iconic full length white pop top roof. Powered by a 1.6 L twin port engine for those who wish to enjoy the journey and the destination. Beautiful grey and white seating complimented by a solid oak hand made bespoke interior.